Hi friends! My birthday is coming up in a week and I have been receiving birthday cards in the mail, so today I'm sharing a card I received made with the Vintage Wallpaper TIEF and the Eastern Elegance DSP...my favorite DSP! 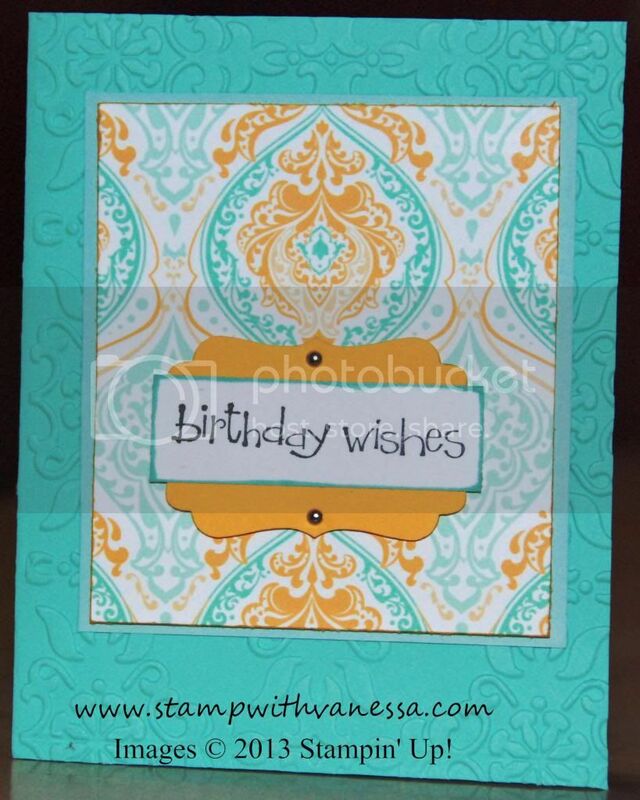 I love this card because it simple but elegant and it uses my favorite DSP and Coastal Cabana! Take a look at the card and let me know what you think...as I receive other birthday cards I will be sharing them with you! Labels: Birthday Card, Stamping' Up!